You will earn 2,442.73 Reward Points. Earn 1 reward point for every 1 dollar spent. 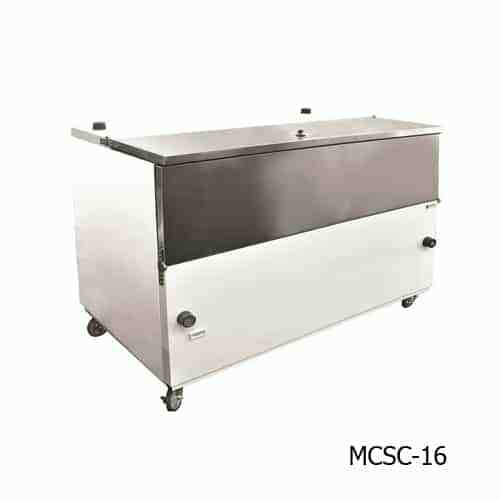 School Milk Cooler, heavy duty motor, cold wall evaporator,exterior temperature display, heavy duty bumpers front and back, stainless steel doors, all stainless steel interior, reinforced interior base, top and front access. 16 case - 63" w x 32 3/4" d x 44 3/4" h. Weight = 318 lbs.